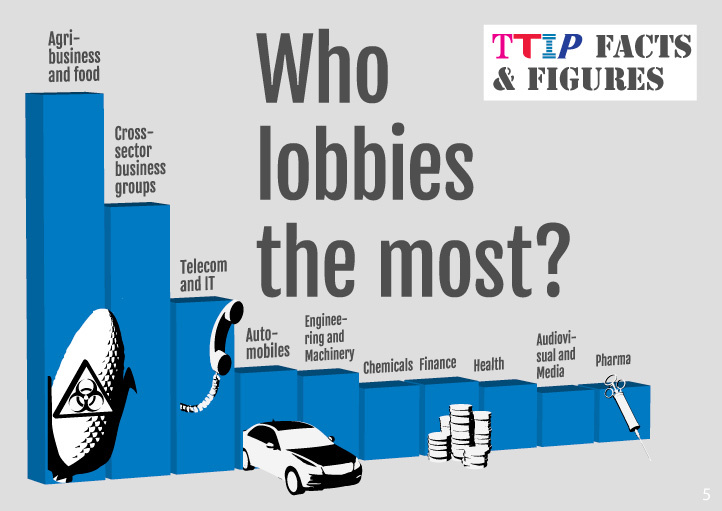 David Hart QC: TTIP – more ‘foreign’ judges critising ‘our’ laws? Reposted from the UK Human Rights Law Blog. All this money “massively” benefitting both sides in a negotiation causes most people with the teeniest bit of commercial acumen to ask the obvious question – where is it coming from? There is no such thing as a free lunch. The obvious clue is in the disclosed intent to “align” regulations and standards imposed by each bloc as part of the deal. Despite protestations from EU and government, this has to mean some sort of dumbing down of regulatory regimes, otherwise where do the savings come from? So, treaty-driven changes may affect consumer safety, public health, environmental and animal welfare either side of the Atlantic. The EU, and indeed states generally, are not known for their transparency when doing trade deals, though at least the EU has given some very broad indications of what might be up for negotiation in some fact sheets recently produced by the Commission on 7 January 2015 – see here for the link to them. There is a good deal of “apple pie” in them, and bromides designed t0 allay concern, without in truth any commitment. wants to set up a formal dialogue on animal welfare with US government regulators. So what is this dialogue going to be about, then? Not, I suppose, just passing the time of day. In truth, all such regulations are going onto the negotiating table, with the European Commission and the US sitting at that table. So not much scrutiny there. And add to this the impetus to push through a deal once done at the political level with minimal democratic involvement, and one can readily understand why the NGOs are concerned about this process. And the domestic constitutionality of this new regime? Typically (unlike the US), the UK government can ratify treaties of its own accord with limited or no parliamentary scrutiny. This is because it falls with the UK executive’s prerogative on foreign affairs. At the moment, the Government does not know whether it will be seeking to implement this by statute or will simply ratify it. Perhaps a call from the White House will tell them what to do. ISDS means allowing corporations to bring proceedings against a foreign government party to the treaty for unfairness. These proceedings are brought under international law, thereby, it is said in the HoC note, providing more certainty that the investor will have their claim adjudicated in an impartial manner. If the government is found to be in breach of its treaty obligations, the harmed investor can receive monetary compensation or other remedies. To date most ISDS provisions are not in multilateral trade agreements, but in bilateral investment treaties (BITs) – sort of the same thing, but smaller. The UK has ISDS arrangements in all of its 92 BITs. According to the Government, no successful ISDS action has been brought against the UK to date. The number of ISDS cases is increasing, with some 57 ISDS cases being started in 2013. The Government seems little troubled by the prospect of such claims – because, it says, it has not lost one yet. But this phlegm seems extraordinary in the light of the nature of the claims so far – have a glance here at this database of 561 claims notified to date all around the world, which reads as a roll-call of multi-nationals having a pop at government. Our Government’s justification for including the provision, as far as I can see from the Commons debate, is : “our” big business needs to be able to sue foreign protectionist governments. This is a wonderfully naive account of ISDS, bringing benefits and no burdens – it carries the splendidly dated assumption that no-one could ever possibly say that the UK was protectionist. So let’s look to see what past experience has been. Take big tobacco, for instance, no shrinking violet. Philip Morris is currently suing Uruguay under an ISDS provision, for increasing the size of the health warnings on cigarette packs, and for clamping down on tobacco companies’ use of sub-brands like Malboro Red, Gold, Blue or Green which could give the impression some cigarettes are safe to smoke. It also describes the UK’s proposed rules on plain packaging as “unlawful”, so as Monbiot points out, if TTIP goes ahead, expect a challenge. In the Philip Morris case, the proceedings were initiated in 2010 in accordance with Article 36 of the Convention on Settlement of Investment Disputes of March 1965 (ICSID Convention – see here) and the terms of a BIT between Switzerland (where Philip Morris likes to hang out these days) and Uruguay. Uruguay’s offence is being the hapless proponent of a policy to reduce the number of people killing themselves smoking. For an initial jurisdictional skirmish which Uruguay lost, see here. The proceedings continue. The Tribunal before which Uruguay is appearing consists of corporate lawyers. As stated in the HoC, Lone Pine is suing the Canadian Government for about $250 million, because Quebec wants a moratorium on fracking. Perhaps the best demonstration of our Government’s naivety about the reaches of ISDS is shown by the Vattenfall litigation. Vattenfall, a Swedish energy company, is not shy about ISDS actions. In 2009, it filed its first complaint against Germany. At issue in that case was the construction of a new coal-fired power plant on the River Elbe. The regulator had issued a licence imposing water quality standards, which, according to Vattenfall, made the whole investment project “unviable.“ The corporation argued that the environmental permit violated the provisions of an Energy Charter Treaty regarding the promotion and protection of investments. It claimed €1.4 billion plus. It was settled in the spring of 2011, with Germany agreeing to a less onerous environmental permit in favour of the corporation – see settlement here. It is now suing Germany again, this time because, in the wake of Fukushima, in the summer of 2011 Germany decided to phase out nuclear energy, and in doing so closed a nuclear plant part-owned by Vattenfall. I have not managed to find the claim online (itself rather telling as to the lack of transparency of this form of dispute resolution), but it is likely to focus around Article 13 of the Energy Charter Treaty, as before. This provides that investments may not be nationalised or expropriated or subjected to “an action equivalent to nationalisation or expropriation” without compensation. Vattenfall may contend that there is an indirect expropriation” or a “measure having an effect equivalent to nationalisation or expropriation” under Article 13. Not yet resolved, as far as I can see. All these proceedings are strikingly akin to claims under Article 1 Protocol 1 of ECHR, for deprivation of property. These proceedings can be brought before domestic courts (whilst the Human Rights Act remains in force) and in Strasbourg (whilst the UK subscribes to the Convention). And Vattenfall could challenge a UK decision about a permit, or a decision not to proceed with nuclear, if it was decided that it was disproportionate; so no lack of remedy in the right case. See for a similar sort of domestic challenge to the Philip Morris case, my post on another smoking challenge here. But it is as well to reflect on the differences between domestic courts and ISDS. ISDS proceedings may or may not be held in public; they lack transparency, and critically, they cannot involve third parties, or indeed be brought by non-business interests. If Vattenfall challenged an environmental permit in the UK courts, Friends of the Earth or Greenpeace might choose to intervene, and we would all be able to listen to the case and read any judgment. No question of this with ISDS. So the pressure on the regulator or government is all one-way within this tribunal – dumb down. And there is no appeal. Now there might conceivably be some point in multiplying the way in which business could bring such challenges if there were some cogent reason for thinking that domestic courts, of say, Germany would not judge fairly an investors’ claim brought against the German government. George Monbiot accordingly has asked the UK powers-that-be to identify which judicial systems in the US or the EU discriminate unfairly against corporations. No coherent answer has emerged – see his post here for the details. The answer is obvious: there are none. You might conclude that there was no known justification for ISDS, whatever the merits or otherwise of the rest of TTIP. There is a strange parallelism between this debate and the HR/ECHR one going on at the moment. There is Tory pressure to get rid of external scrutiny of decisions with human rights implications – because people don’t like the answers which emerge from international scrutiny of what we get up to. But there is pressure from the same party to enter into a treaty which requires us to allow domestic commercial decisions to be exposed to that scrutiny by external decision-makers (think fag packets or environmental decisions) – resisted by a charmingly dated idea that the UK can do no wrong. Both positions cannot be right. If any of the above worries you, do not despair. It is by no means a done deal. Indeed, it is thought unlikely that the deal will get further than a broad political agreement by the end of 2015, and it is then likely to get embroiled in the US presidential election. There are also many players to be brought aboard before a deal can be finalised. The EU top court, the CJEU, may have to be satisfied that the EU can sign up to it under the current treaty arrangement; it roundly rejected the current proposals to sign up to the ECHR in December 2014 (see my post here on the Opinion here), and the investor provision seems to impinge on its competences to a far greater degree than the ECHR draft accession. And at the moment, Commission President Juncker seems opposed to the ISDS element of TTIP. And there may be a counter-intuitive card to play. The wilder reaches of free trade in the US may be looking forward to Monsanto duffing up EU legislation – but will it be so phlegmatic about a UK company such Astra Zeneca suing the US State Department for some protectionist measure about animal health? Perhaps a bit of lobbying of the more isolationist elements of the Tea Party might not go amiss. Anyway, sorry about the long post, and more simply, watch this one. The current government line is that there is nothing to worry about in all of this. Don’t believe that for a moment. We have seen time and time again how gooey our leaders become when those nice Americans ask us to do something. 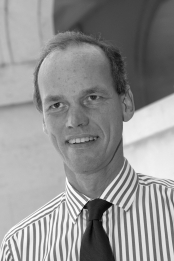 David Hart QC is a barrister at One Crown Office Row. The account of investor-state disputes is welcome as so much has been written about this, but without examples. This entry was posted on January 24, 2015 by Constitutional Law Group in America, European Union, International law, Uncategorized and tagged ISDS.